Over the past few months, the project has grown! And here is a brief update. At the end of April/May, PCVs Kate Cook, Siobhan Perkins, Laura Hurley and myself had selected a total of 25 community and school libraries for this project. Mid-June, Mr. Fondugallah, a Cameroonian living in St. Paul, MN contacted me and we added the Limbé and Lewoh City Library. Mid-July, RELUFA resource library in Yaoundé was added to the project. Late-July, a community in Kognoli, Adamoua was added in collaboration with a RELUFA contact. Early August, final library is added to the project for the clan of Fondonera in the West Province. Here is a complete list of participating libraries! The project is now covering 30 school/community libraries. Library management training will take place in the early months of 2010. We are still raising money to fund the tranportation cost for Phase I. Phase II is underway in collaboration with Biblionef and l’AESCO. If you are interested in making a tax-deductible donation to help us along, please click here. I am bringing 30 libraries to Cameroon. We need $11,500 in collaboration with Books For Africa. It takes 2,300 people to donate their next $5 latte/beer/burger to make it happen! Donation is 100% Tax Deductible! If you care enough, below is the rest of the blah blah blahs. Enjoy! The project began with my desire to fill a 4-room school near my house with some books and begin programs to help students discover the joy of reading and learning. After contacting several NGOs, Books For Africa replied and say they would supply a 40-foot container full of English books (approx. 22,000) if we can raise the shipping and custom fee of $10,000. Since it is an all-or-nothing deal, I sent out a few emails to fellow volunteers and expanded the project across three provinces and reaching 30 schools/community libraries. Since most of the participating schools are in the Francophone region and Cameroon is a country striving for its bilingualism, we have split the project into two phases with this first phase focusing on the English books and the 2nd phase with French books. 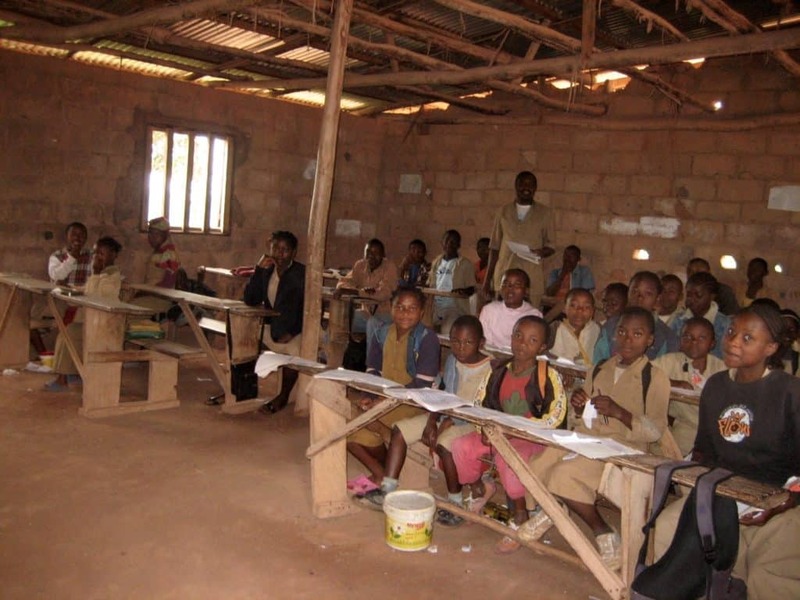 Volunteers participating in this project have sent out project applications to ensure each school is dedicated and meet the following criteria: supply in-country transport cost, supply a well-secured classroom complete with shelves, tables and chairs for a functioning library, and committed staff who will participate in library management training. 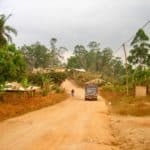 What A GREAT Project for Cameroon! I Wish You And Your Team All The Best In Undertaken The Project. We Of TechCeFaCos NGO and IAF Are Engage In A Similar Project-Computers for Cameroon! Hi Kate! I’m Mercy, a Cameroonian student studying abroad in the U.S. at Capital University in Columbus, Ohio. I think your project is great and really inspiring. I know how great the need for textbooks, and even simply books, in general, is in Cameroonian schools, having been through that myself all of my primary and secondary education. Right now, halfway into my second year doing a major in International Studies and Business, I have started wondering what are the opportunities out there to actually do something in people’s life. And then i came across your blog. If you have some time, i would be really grateful if you could answer some questions i have concerning the whole project, how you came about it, etc. You can contact me on facebook, my name is Nange Luzolo Mercy.I am a fan of your facebook page lol. I would really appreciate hearing from you!